Trip and fall, it can all happen so quickly – a customer catches their foot on a chair leg, or slips when coming in from the rain – but your business is left dealing with the legal and financial fallout for months. Whether you have a restaurant, a shop, an office or work from home – if a customer is on your premises, generally you’re responsible for their safety. A trip here or a fall there could mean a claim is headed your way. Here are five steps to minimise the impact it can have on your business. SafeWork Australia and all of the state and territory authorities have reams of information and guidance on identifying hazards, as well as assessing and controlling risk. But the unfortunate reality is that insurance claims relating to slips and trips are still very common, says Steadfast Broker Technical Manager Michael White. “Every business has an exposure to them, even home businesses,” he says. Whether you take steps to eliminate a hazard, isolate it, or put engineering or administrative controls in place, record what you've done to prevent a slip or trip occurring. This should include keeping regular cleaning logs. “The trouble with a lot of slip and trip insurance claims is that if somebody says 'I fell over on a piece of banana skin that somebody dropped on the floor', there is generally no record of the banana skin actually existing,” White says. 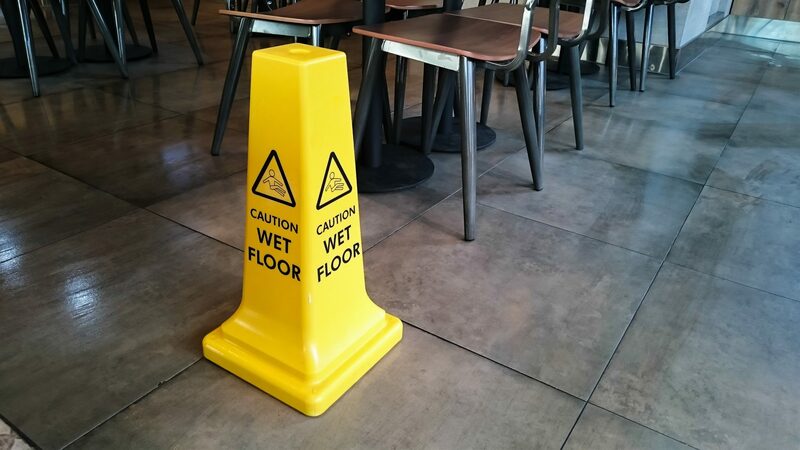 If someone does take a fall on your premises and is not seriously injured, it can pay to be proactive. “A lot of businesses will speak to a potential claimant who’s had a minor incident and say 'we will pay your medical expenses' or 'we'll give you a $100 gift voucher', or take some other step to assuage their feelings,” White says. You may be legally required to record and report an incident on your premises. To find out what your obligations are, consult your local workplace health and safety authority. Regardless of your legal obligations, it's wise to keep your own records of any incident. At a minimum, include the name, address and age of the injured person, as well as the time, date, nature and cause of the injury. The reality is, slips and trips are common and the consequences can be significant. “There are two issues – there's the compensation and the legal costs of defence,” White says. Having an appropriate public liability insurance policy in place can help your business meet these costs.